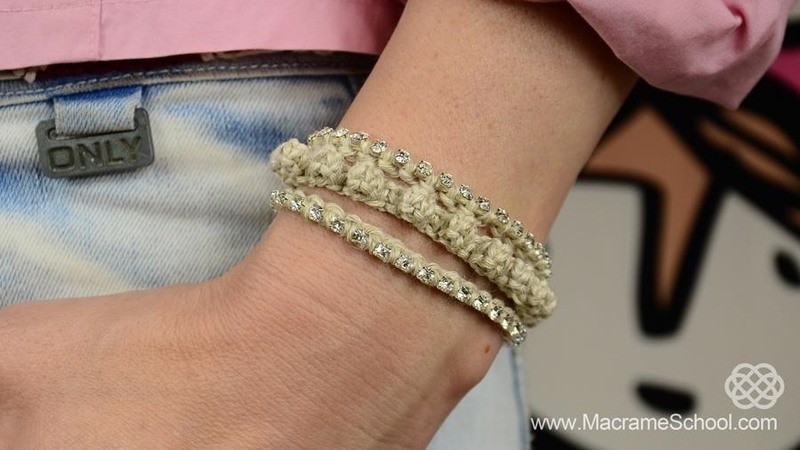 How to Make a Macrame Bracelet with Bumps / Balls and Crystal Cup-Chain. Knots that are used in this tutorial are Square Knot and Vertical Lark's Head Knot. This is a great bracelet for beginners!